Rogalia - A craft-based sandbox MMORPG with an open world influenced by players. 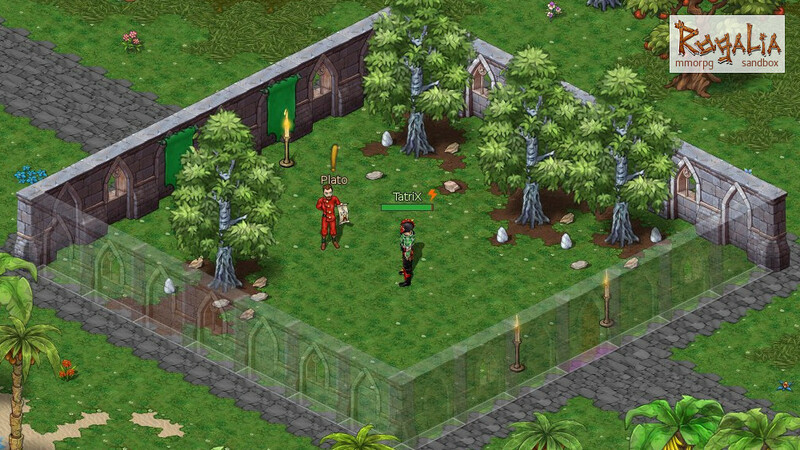 A craft-based sandbox MMORPG with an open world influenced by players. 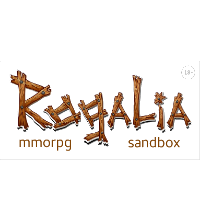 Rogalia is a craft-based sandbox MMORPG with an open world fantasy setting influenced and created by players. Engage in a PvE orientated world with simple but hard to master combat system with optional PvP in arenas, battleground and full drop areas. Live the simple life and be a crafter and farmer to tend to crops, breed animals and create food to gain essential vitamins to develop your character using the unique vitamin/stat system. Whatever you choose, Rogalia has thousands of recipes to help enhance your character and last but not least, make your land into the home you always wanted. The game is available for $11.99, but the winners of our contest will get it for free. Check out the following videos of the open world MMO game Rogalia where players collect resources to build their world HERE, HERE, HERE, HERE, HERE and HERE to see if it's a game you'd like to play. There are 500 keys up for grabs once you've completed the usual tasks. Please only post comments about today's game giveaway; other comments either inappropriate, or comments with only one or a few words; for example vg, good, thank you, TY, bad, rubbish, this game is ****** etc , or if the comment has nothing to do with today's game or is complaining (send your complaints to the giveaway team via the contact form that I've linked to below), may be deleted at the moderator or administrators discretion; however, a little light banter among community members/friends and with the moderator to keep this a friendly place to visit is acceptable and welcomed. All comments not specifically about today's game giveaway will be judged by the moderator and if deemed inappropriate, will be deleted and usually with no explanation. Please see the moderation policy HERE for details about posting comments. The installation is via the Steam client. If you are not familiar with activating a Steam game, go to the top menu and select Games. From the drop down menu select 'Activate a Product on Steam'. The game will then be available to inatall on any computer you install the Steam client on and sign in using your Steam account. If you're new to Steam, you can download the Steam client HERE and create a Steam account HERE. Once the key has been added to your account it will be permanantely tied to that account and cannot be changed. Note: This Early Access game is not complete and may or may not change further. If you are not excited to play this game in its current state, then you should wait to see if the game progresses further in development before you decide to get a copy. 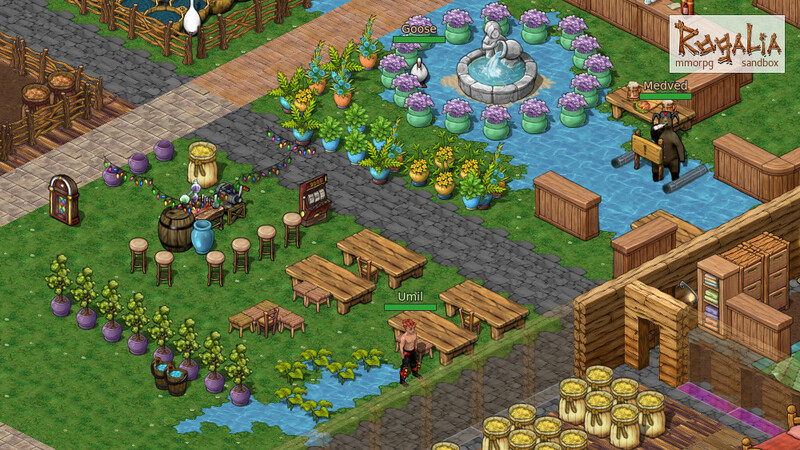 Rogalia is the craft-based MMO-sandbox with the fantasy open world created by players. Feel free to kill people out of towns and claims. Gain useful vitamins from your meals and develop your character. Fight on Arena, battlefields and dungeons. Build your own world in the tough surroundings! Unfortunately I was unable to play this game because for some reason when I tried to install the game via Steam all I got was a desktop shortcut and a folder with no executable or other content. After deleting and reinstalling several times, I've had to contact Steam support and the developer to find out what the issue is. That said, other Steam users have been able to install this game. ⦁	Character levelling is based on vitamins gained from meals. ⦁	Every attribute of your character may reach maximum value. ⦁	You may share your rented patch with other players. ⦁	Free economics developed by players. ⦁	Crafted items have durability and quality attributes. Their values depend on your skill. ⦁	A plenty of recipes and skills: craft, animal breeding, monster hunt, building and many more! ⦁	An open PvP world with 3 undeground layers and PvE-protected areas (towns and rented patches). ⦁	Vitamins, gear and bag loss after death. ⦁	Loss-free arena to fight people with no death fees. Battlefields and dungeons to hunt some good loot. ⦁	Smoking, booze, gluttony, chance games, promiscuity and, last but not least, a payment for these sins: from hangover to STDs. ⦁	Craft Away – mold and shape the game world through crafting, making items such as water wells and gates. ⦁	Enhance Characters – feed characters meals to increase stats, and improve the levels of skills. 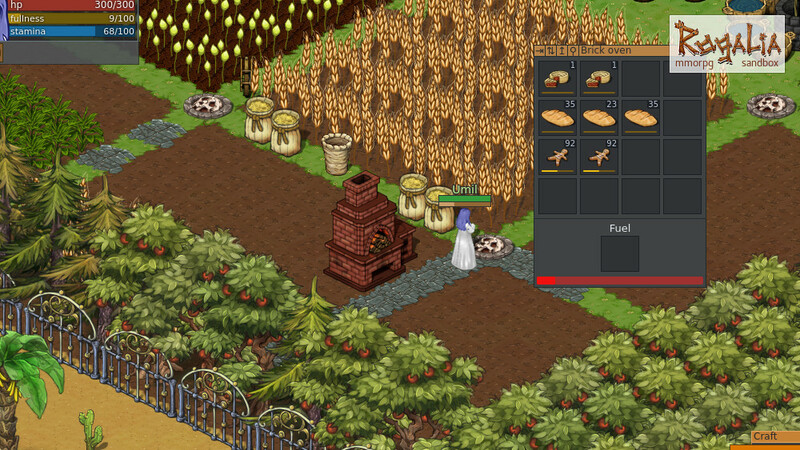 ⦁	Rent Land – rent a piece of land and make a home by crafting a house and farm. ⦁	Perform Social Actions – interact with the people of Rogalia through a variety of social actions, such as drinking and sleeping. ⦁	PvP World – be on your toes in an open-world PvP setting with designated safe zones. ⦁	True sandbox - Resource-rich open fantasy world, with multiple dungeon levels. ⦁	Unique leveling - Character advances with vitamins obtained from quality food. ⦁	You are the boss Crafting, construction, farming, animal breeding, risk of loss PvP. ⦁	We need to go deeper - Outside the box mechanics, hundreds of recipes, players create the world, no "pay to win". The Rogalia team has posted a brief note to let players know that all servers have now been deployed with the opening of the new North American server called "Andromeda". This brings the worldwide server total to three with other servers currently running in Europe (Quasar) and Asia (Tokyo). There are no plans to add additional servers at this point. You can see Steam community reviews of Rogalia HERE and other information and images HERE. There are several in-game videos of game play HERE, HERE, HERE, HERE, HERE and HERE. Unable to play the game due to issue with installing the game via the Steam servers. If you win a key and once you've had an opportunity to play Rogalia please take a few moments to give some positive or negative feedback; for example, what you liked or disliked about the game, or how it could be improved. If you don't like the genre at all, please explain why and if any, what improvements would change your mind? Once the competition is over, you can access the comments section by going to the game giveaways home page, then scroll to the bottom of the page where it says Archives and select the date the giveaway was live (giveaway days are in bold type). This will open up the appropriate page for you to post your comment or review (Mon 6th Nov). Alternatively, you can Google the name of the game and include Gamegiveawayoftheday in the search. This should give you a list of links to when this game was given away. There are thousands of subscribers to the game giveaway of the day every weekend which makes this an ideal forum for giving developers new or fresh ideas as to what their consumers (i.e you) would like to see in a game. For example, you could suggest extra content such as better or more original mini-games, or a level editor that you would like to see that would make it more appealing to you. Maybe you think the graphics are a little dated and are in need of re-skinning, or maybe you've just had enough of the genre and want to see something different or something with more originality? Giving such feedback instead of saying nothing or just saying this game is rubbish or good may bring more developers to the site, which could mean more and better games. Would 'you' give away thousands of copies of a game (or extra content for a game) away to a community that complains all the time instead of giving useful feedback? It only needs a few moments of your time. This site could be transformed if only the community would be more forthcoming in their opinions of the games they are getting for free instead of complaining about the way this site has changed, for example, they don't like MPC games, they hate HOG's, have had enough of Match Three and Time Management games, or they want to see the latest version of Call of Duty or some other big name AAA game given away or that they don't like Steam games. If something isn't for you then please move on to the next giveaway, or check out the forums HERE, HERE and HERE, where a few members of the community post details of various free games and free game sites as well as links to various indie bundle sites etc; you never know, you may find something that really interests you. If you're having problems installing or activating or getting to work please visit the FAQ's Thread HERE and read through the communities comments in case someone has already posted a fix, or alternatively visit the Steam forums. I'd like to take this opportunity to thank the two developers of Rogalia TatriX for giving away their game, and also to the game giveaway team, as always, for securing other ways to get free games. If Rogalia doesn't interest you, but you still hanker for something new to play, you'll find details of some game deals whether they be sale items, indie bundles or games being given away for free HERE (I've not updated the thread in a while, but most of the links still take you to the latest deals). The rest of the information that used to be posted in the game review can be found in the forums HERE. Finally, check out Delenns threads for details of other free games and offers HERE and eslewhere in the game discussion forums HERE, (usually on the first page of the game discussion forums). The latest Origin giveaway is Plants vs. Zombies Game of the Year Edition. which you can find HERE. If you love Tower Defense, or arcade games in general, this is a fabulous game. It's not like your typical TD game. It's easy to pick up, but hard to stop playing. A fantastic and well balanced arcade game, with brilliant game play and in my opinion one of the best of its kind. You can see a couple of game play videos HERE and HERE. You can also get a free Steam key for Brutal Ledgend (offer Ends Wed 22nd 6pm UK time) via the Humble bundle site HERE. You can see a couple of game play videos HERE and HERE (featuring some real heavy metal legends such as Ozzy Osbourne (formerly of Black Sabbath) and Rob Halford (Judas Priest) and introduced by Jack Black, not suitable for children and young teenagers). This was the first contest I entered because I thought it would be an interesting game to play. Your review, of course, helped me make up my mind. Must be my lucky week as i won a key to this..and I won one of the 50,000 Steam triple packs from Fanatical ...The games were..Sir, You Are Being Hunted, Dead Effect, and 12 is Better Than 6 . Yea, me! Thanks for the review , Oh Furry One, (because if you hadn't reviewed it..I probably wouldn't have joined it because I don't enter the ones here..I had rather let others win) and thank you to GOTD for offering it . And for TatriX, the developer for helping. We don't get that often. Huggles to Wabbit and your family/..... Hopefully I can get my glasses soon so I can play games..
Email sent..Glad Michelle is doing better. Makes me very happy. Hello! Dev is here. How can I help you with the launch problem? I've attempted to install the game several times, on different hard drives and have cleared out the download cache, but get the same issue every time I try to install the game. What exactly OS do you have? win 10 x64? Well that's strange. Could you please use a beta branch. Use password ''code removed by a moderator after using" in the game properties dialog to activate a beta branch. I've entered the code you provided (deleted the code you posted to stop it being abused) The code was accepted, i.e. I received the message that the access code was correct, but where do I find the private beta test? I did reinstall via the entry in my library but still get the 'executable is missing' message and an empty Rogalia folder in the installed path. Do you have a file that can be installed separate from Steam, or is Steam the only option? addendum: Just rebooted the computer and saw that Rogalia now has test included, but the same issue remains. I've turned off security, but that doesn't have any effect, I've cleared out my download cache and that doesn't help. I've tried installing it on a different drive and still no luck. I do have other computers, but they are all in the process of being upgraded and are awaiting hardware parts; however, i'll ask my daughter if I can open up my Steam account on her computer tomorrow and see if I can install it there. Will let you know when I'm able. If you are getting a ''Could not authenticate you'' message, it may mean that the Twitter account has been used with a different profile. You need to contact the giveaway team to clear the issue. I've posted a link to the contact form in my review, or you can find it at the bottom of the home page.